It may be time to box up the microphone and the rocket, the robots and the VR headsets. But truth is, we could do a lot of interesting things related to science and technology during the long summer break. So here’s what I am asking my students to do in July and August. Become a ‘Maker’ – Build something. A tree house? Make a parachute out of a plastic bag, or a scarf, and a large eraser. Drop it from a balcony (or that tree house!) and change the way it lands. 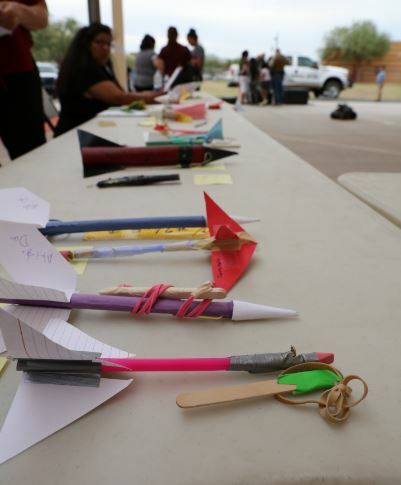 Create a paper airplane or rocket contest. As we learned at the recent STEAM Night, some of the rockets that flew the furthest cost nothing, and were made of paper! Conduct a potato battery experiment! Two potatoes, a few nails, copper wire, and a light bulb from a flashlight. Ask an adult to download the steps here. Build a robot. Wrap a shoe box in tin foil. Add wheels and axles using bottle caps and skewers. 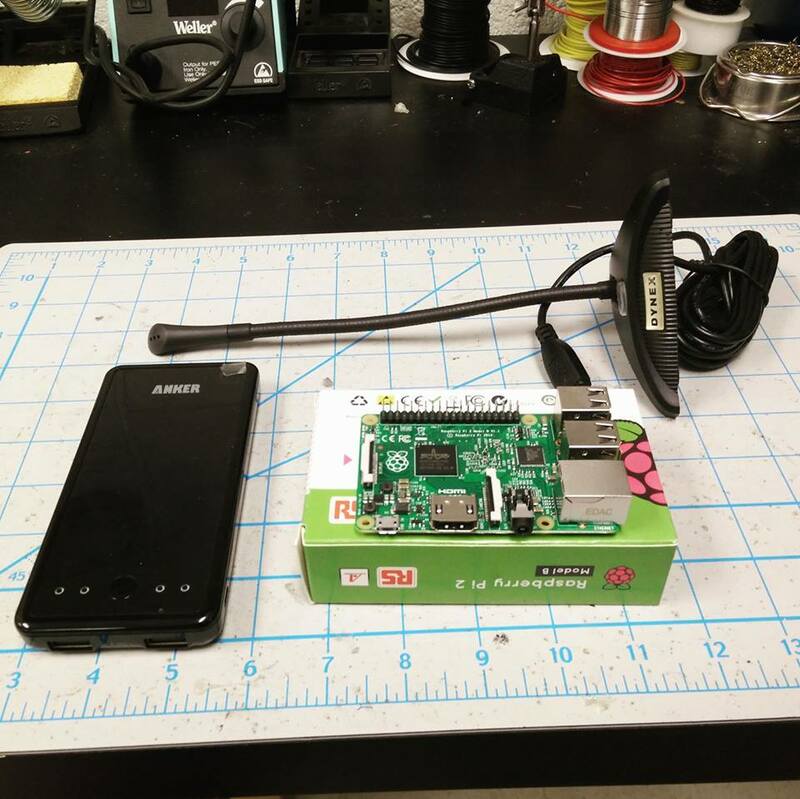 For accessories like an antenna, and a probe, cut a coat hanger, and bend it into shape. Take up photography! Last year I taught a class using point-and-shoot cameras, and (the horror) phones! Figure out how depth-of-field, and back-lighting could enhance your pictures. No (Instagram) filters required. Produce a skit. Before there was this thing called the Internet, we kids down the street created our own ‘drama.’ Find a friend who could help you co-write a short play about pollution, or landing on Mars. 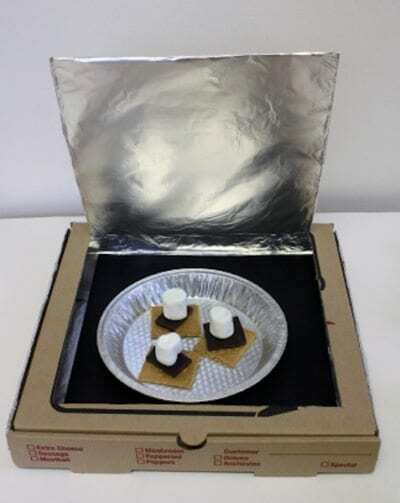 Build a solar oven. Start with a pizza box. Watch this video for inspiration! 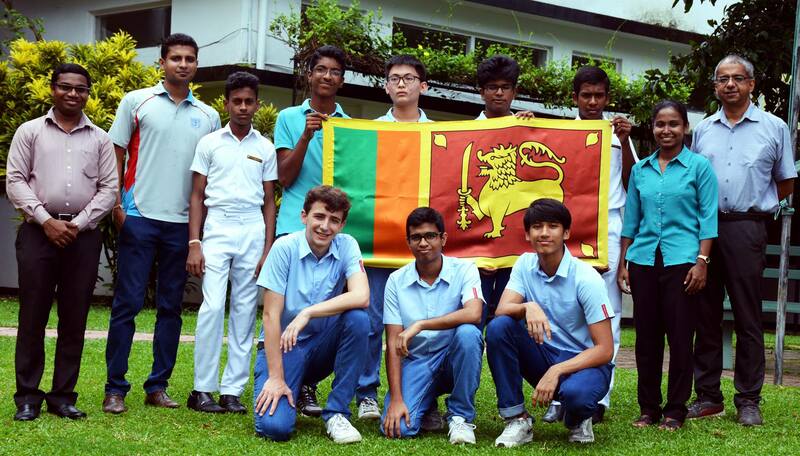 Rockets soared at our school, on April 30th –the same day news broke of China’s plans to test a reusable launch vehicle, the ‘Long March 8.’ STEAM night was quite an experience, six years since we began on this journey. While most rockets flew pretty flat and straight, this one showed a curve visible to the naked eye of the sort of trajectory rockets take in space. It was as if this rocket really was on a mission delivering a payload. This student’s rocket traveled 58 feet, 7 inches. Meanwhile, SpaceX, is looking for ways to go beyond ‘reusable’ into mass production of rockets, just like GM does cars. Some day one of these kids will be in Mission Control –and I’m going to watch it from my rocking chair! 2016 STEAM Night – The Bridge Building challenge. 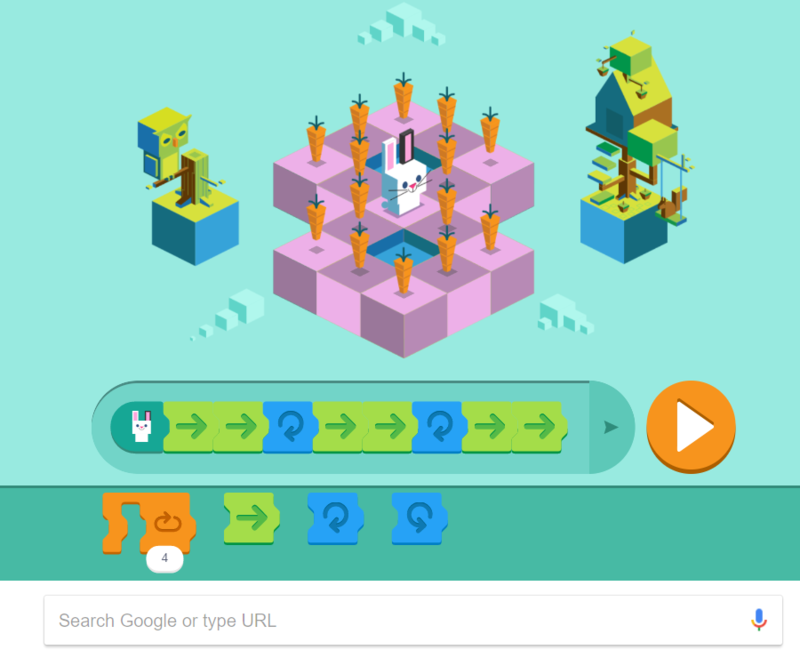 As Google doodles become more interactive it’s fitting to see it launch Hour of Code with a drag-and-drop doodle. It’s their first Coding-based doodle. Have you tried it? It’s on today’s Google landing page. Worth reading: A description by MIT’s Champika Fernando, who was on one of the 3 teams that built this doodle. Hour of Code runs through this week, which is also Computer Science Education week, and the anniversary of 50 years of programming languages. Scratch was developed at MIT. If only schools can be like this! I just interviewed Kris Canekeratne, CEO of Virtusa, a 20,000-strong global business consulting and IT outsourcing company headquartered in Massachusetts. Among the many strands we talked about, I was fascinated by his take on learning, and how schools ought to be the ‘ignition’ for curiosity. “Students have an innate proclivity to curiosity,” he says – no different how engineers are inherently curious, with problem-solving and design thinking as part of their skill set. If only we could design schools to be the spark plugs of knowledge! It’s time we began exposing students to Big Data, Nanotech, AI, user experience, and gamification, he says, instead of teaching them how to memorize material just to pass exams. To this end, here’s an example of design-thinking class at a Charter School in Berkeley, California.